In 1934, seventeen sanitarians met in Lansing as a separate group at the 14th Annual Conference of the Michigan Public Health Association. This small group grew to 33 sanitarians in 1935 and was granted affiliate status by the Michigan Public Health Association (MPHA). At the same time, a membership of 40 sanitarians, called Michigan Association of Milk and Dairy Inspectors, were holding their 9th Annual Conference in Grand Rapids. One sanitarian’s name that appears on the membership listing of both organizations and many of re-organizations over the years is Art Harvey. During the war years, many organizations did not have annual meetings. In 1944 Michigan Association of Sanitarians became more active. At that time, there was interest in forming an alliance with a national or regional association. The National Association of Sanitarians had made an offer, but was considered to be “dominated by industry”. The governing board was instructed to look at the possibility of forming an association of sanitarians on a state/regional basis. There was a motion made and passed that the Constitution be amended if necessary to include other states and that the suggested name be the American Association of Sanitarians. That movement to form the National Association died in Cleveland, Ohio, at the American Public Health Association’s 74th Annual Meeting. Records show that the annual meeting in 1948 was held at Michigan State College and the dinner cost was $1.55. In 1948, Michigan Association of Milk and Dairy Inspectors and Michigan Association of Sanitarians dissolved their charter and joined forces to create a new Michigan Association of Sanitarians with a constitution and by-laws. In 1953, MPHA adopted a new set of by-laws which set up ten sections, one of which was called Environmental Health. In 1959, there was the creation of another sanitarian group called Michigan Society of Environmental Sanitarians. This group formed an affiliation with National Association of Sanitarians. They proceeded to develop a master list of active sanitarians in Michigan and were instrumental in the first Registered Sanitarian (R.S.) exam in 1963. Sanitarians successfully meeting the minimum requirements and passing the test were certified as R.S. in Michigan and with the National Environmental Health Association. Records show that the membership of MAS broke 200 in 1969. The first Art Harvey Award recipient was honored at Gull Lake in 1965. The recipient was Herbert Zinser. 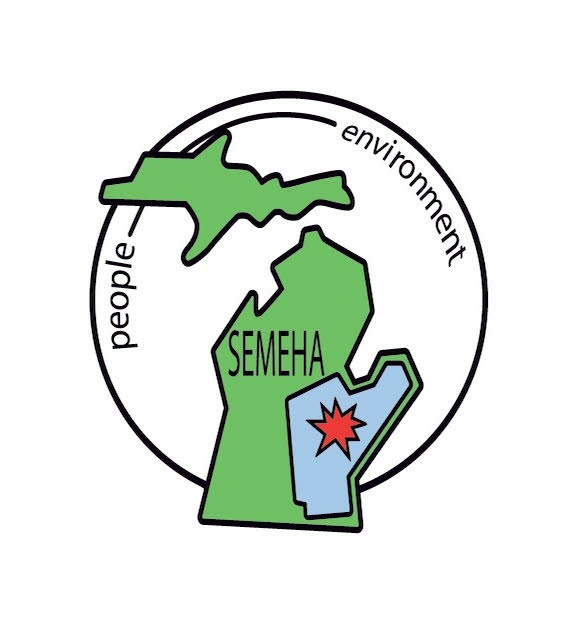 In 1970, the Michigan Society of Environmental Health and Michigan Association of Sanitarians joined membership. The new name was Michigan Environmental Health Association. That same year, discord arose with the Board of Directors of MPHA over a conflicting evening speaker. As a result of this disagreement, the sanitarians never met again with the MPHA as an Environmental Health Section. 1970 also marks another milestone in the sanitarian’s history. Membership was about to break the 300 mark and Gull Lake accommodations were not large enough to handle the Association. Locations of annual conferences would vary around the state, conferences would be of top professional quality and banquets formalized. Current annual banquets reflect those changes of the early 1970s. In 1975, the first LaRue Miller Award for lifetime achievement was presented. With a growing and active association, members in this professional group quickly grew to over 400. In 1978, the First Edition of the Sanitarian’s Ready Reference was printed and given to each member. As the Association entered the 80s, talk turned to action for Michigan to host the National Education Conference. Grand Rapids was selected as the 1984 host city and the Association orchestrated a professional National Environmental Health Conference that was second to none. The Association started direct mailing of newsletters to the membership in 1985. The current Constitution and policy and procedures manual were updated in 1987. The membership directory started being updated every two years. The first edition of the Food Service Manual was printed in 1983 along with an improved 3rd version of the Sanitarian’s Ready Reference manual. The Dave McMullen Young Professional of the Year award was created in 1987. The first ever Food Conference was held in Lansing, MI in 1988 (combined with MDA food school in 1998). The 1990′s were an exciting decade for MEHA. The corporate sponsorship program started with the winter 1992 issue of the MEHA journal. The first Groundwater Conference was held in 1994. In 1998, Janet (Morlik) Phelps became the first woman elected as president of MEHA. The year 2000 ushered in a new century and more milestones for MEHA. Membership topped the 700 mark with a budget of over $100,000. The first AEC conference held in the Upper Peninsula was in 2000 in Sault Ste. Marie. The National Environmental Association REHS/RS exam was given at AEC for the first time in March 2003. In 2004, the Samuel Stephenson Sanitarian of the Year award was created. With the advent of the 21st century, MEHA stands as an important and prominent organization dedicated to advancing the cause of public and environmental health.